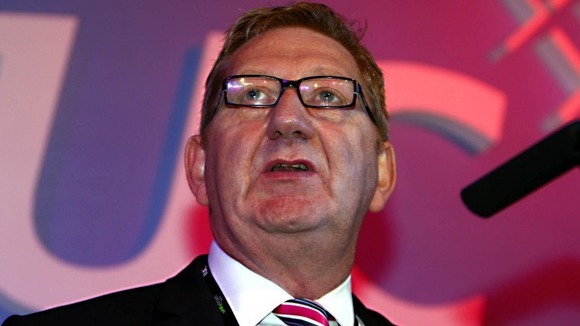 McCluskey: Because nothing says Union Baron like subjecting yourself to regular elections. Whenever there is any critical comment on trade unions in the UK mainstream express two words will inexorably find their way into the headline: “Union” and “baron”; especially by titles such The Telegraph, Daily Express, Daily Mail and even the BBC. “Union barons!” … I’m only aware of two other types of baron, and neither of them has much in common with the people debating composite motions in Brighton this week. The first is the medieval baron, who gets his kicks out of riding round the parish on his horse terrifying the serfs and pillaging their food. And then there is the drugs baron, who does much the same thing, except in a flashy car rather than a trusty steed … The only thing that unites the three types of baron – medieval, narcotic and union – is that they all wield some sort of power. But here’s the difference, and it really is a crucial one: a union baron can be toppled if enough serfs vote for someone else when Mr Scary Boss is up for re-election. As a way of changing leader, it’s simple, peaceful and democratic. Try asking either of the other types of baron when they plan to submit themselves to the will of the people and see how far you get. The use of adjectives is most likely more than just lazy journalism and designed to promote negative stereotypes. What the criticisms fail to acknowledge is that far more than political parties trade unions are from top to bottom democratic – at regular intervals every single member of a trade union has the chance to elect who will represent them, and conversely, who they are so thoroughly disappointed with their representatives that they vote them out of office. But that is not to say there is not a democratic deficit. I have personally been elected to positions when less than 15% of eligible voters bother to cast a vote. Every member had the opportunity to vote and I have no doubt about the validity of those elections but, nonetheless, that c 85% of members chose not to is a matter of deep concern to me. The Government should overturn legislation blocking online voting in Trade Union ballots and introduce online voting for Trade Union strike ballots by 2016. Such a move is certainly not a panacea on the matter of member engagement in union democracy and, even with such a change, there would be much to do but it is certainly a step in the right directions. Here’s waiting to see how the report will be received.